Blending black metal's most brutal tendencies, the melancholic beauty of classical and opera, and industrial metal's production techniques, Dimmu Borgir have carved a niche in the metal world as one of the most savage and creative acts to hail from the Norwegian scene. Emerging in the early '90s -- vocalist Shagrath and rhythm guitarist Silenoz have remained the group's sole constant members -- the band's early material hewed closer to the thrash-forward extreme metal aesthetic of groups like Bathory and Darkthrone. Commencing with 1997's Enthrone Darkness Triumphant, Dimmu Borgir's purist take on black metal began to take on more symphonic undertones, culminating in the release of their landmark sixth studio effort, 2003's Death Cult Armageddon, which was recorded with the Prague Philharmonic Orchestra. Subsequent outings like In Sorte Diaboli (2007) and Eonian (2018) followed suit, with the band dressing decibel-rich, blast-furnace-forged slabs of death and destruction in black robes of Wagnerian opulence. The group first started in 1993, when members Shagrath (vocals), Erkekjetter Silenoz (guitar), and Tjodalv (guitar and drums) came together to join the emerging metal scene. Although some groups like Emperor and Mayhem had already been making noise for a while, a next generation of groups was the first to directly take influence from their efforts. 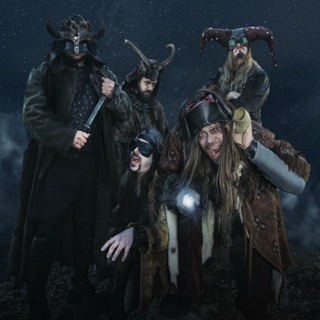 Bassist Brynjard Tristan and keyboardist Stian Aarstad were drafted into the Dimmu Borgir fold and the band began its career with a 7" single, "Inn I Evighetens Morke." The single sold out in a few weeks, inspiring the band to record a full-length album. Although their live performances were starting to gain them a lot of attention, it wasn't until For All Tid's release in 1994 that they made their mark internationally. After some European touring and a few rave reviews from metal publications, the band went back to the studio to work on their next album. The result, 1996's Stormblåst, was a step up from the primal debut album. Featuring stronger melodies and their first attempts at the classical flourishes that would enhance their later work, the group again gained more rave reviews. They were still in the shadow of many of their contemporaries, as landmark releases from Cradle of Filth and Emperor were released around the same time. They suspected their use of Norwegian may have been the cause, so Stormblast was also the last album to use their native language to deliver the lyrics. They toured quite heavily behind the album and even released a single for "Devil's Path" in between albums, but along the way, they also lost Tristan and had to replace him with Kovenant bassist Nagash. When they did return to the studio, they recruited producer Peter Tägtgren to record the monumental Enthrone Darkness Triumphant, a landmark album in both scope and songwriting. Due to new label Nuclear Blast's heavy marketing and distribution, the album sold much larger quantities than anything they had produced before, and found them thrust to the forefront of the black metal movement. Dimmu Borgir were more than ready to take that responsibility, and the following tour saw them pick up second guitarist Astennu. They also fired longtime keyboardist Aarstad because of internal difficulties and replaced him with future Sinergy frontwoman Kimberly Goss. She could only last through a part of the tour due to contract responsibilities, and she was replaced by Mustis. 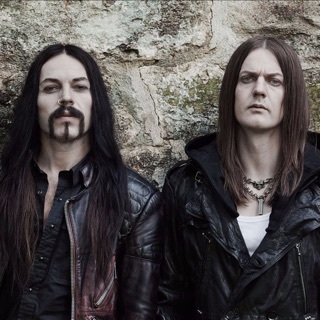 Tjodalv also left Dimmu Borgir after the tour to be with his newborn child, and was replaced by Aggressor for a mini-tour after taking a break from the band's Enthrone promotion. For All Tid was re-released in 1998 with "Inn I Evighetens Morke" added to the track listing, while the Godless Savage Garden EP was also released to tide over fans until the next album. The recording sessions for Spiritual Black Dimensions came next, and Tjodalv came back to the fold after his family sabbatical. The album was released in 1999 to more praise from the metal media, as it revealed a heavier and more complex vision than anything they had accomplished before. Nagash quit before any touring could take place, but the band had asked bassist Simen Hestnaes from Borknagar to add operatic vocals to the recordings anyway, so he slid into the role quite easily. The band also made a split album with Old Man's Child around the same time, and the results were released as Sons of Satan Gather for Attack in the same year. 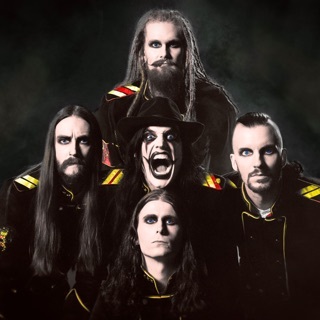 Tjodalv unexpectedly left Dimmu Borgir after their 1999 tour, but Cradle of Filth's Nick Barker was more than ready to step into his shoes and the tour resumed without a hitch. In keeping with the spirit of their luck in the late '90s, the turn of the century saw Astennu fired from Dimmu Borgir before the recording of their next album. Financial and time constraints put off the recording process until the fall of 2000, and in the meantime, they drafted Galder from Old Man's Child to become their new guitarist. Puritanical Euphoric Misanthropia was the resulting album, and the effort was by far their most complicated release to date. Featuring a symphonic orchestra on almost the entire album, the CD was an astonishing accomplishment in the world of black metal. The band toured behind it, but the tragedies of September 11, 2001 cut short their plans to tour with Napalm Death in the States and they had to stay in Europe. Still, they managed to release an EP and a DVD in their newfound spare time, and Barker and Galder could do work with their various side projects and other bands before stepping back into the studio to record the mammoth genre-mashing masterpiece Death Cult Armageddon. Released in 2003, it relied heavily on the Prague Philharmonic Orchestra. The year 2005 saw them issue a new version of their fan-favorite second album, re-recorded with vastly improved production values and retitled Stormblåst MMV. The full orchestra was once again utilized on 2007's equally impressive In Sorte Diaboli, while 2011's Abrahadabra saw them venturing even further into prog territory.